If you are looking for an external hard disk of 1TB for your laptop or computer to your Mac, this disc is one that you should consider buying. What we have on offer for a limited time. 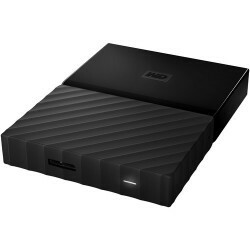 An external hard disk drive USB 3.0 1 TB very cheap. Start to save your valuable memories and important files with the portable hard drive My Passport USB 3.0 1TB WD. My Passport comes pre-formatted for Windows systems and connects to your laptop or desktop through a USB 3.0 cable included. In the interior, it has a hard drive that provides 1TB of storage capacity to store your photos, videos, music and other content. To feed this drive, My Passport is running on the port, powered by USB bus of the computer. This edition of the drive, the My Passport comes with a black frame redesigned, that complements your other gear. Another notable feature is the backup software from WD, that allows you to create scheduled backups, to help preserve your data automatically. 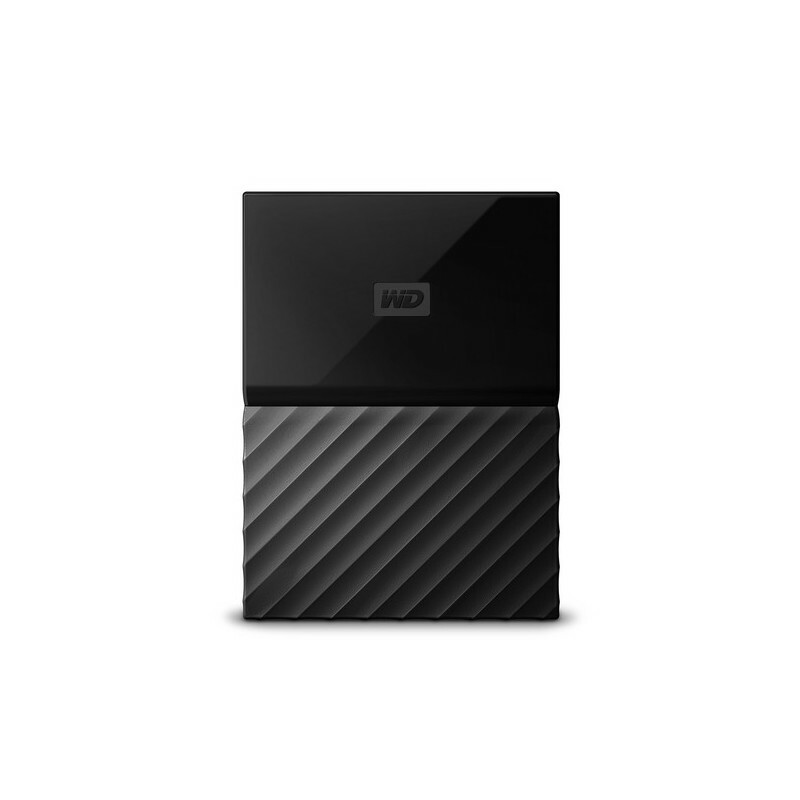 In addition to making backup copies of the data, WD has set up this drive with hardware encryption and the software WD Security to protect your confidential files from unauthorized users. The My Passport comes preloaded with the software WD Backup to ensure that your photos, videos, music and documents are not lost. You can set it up to run automatically according to your schedule. 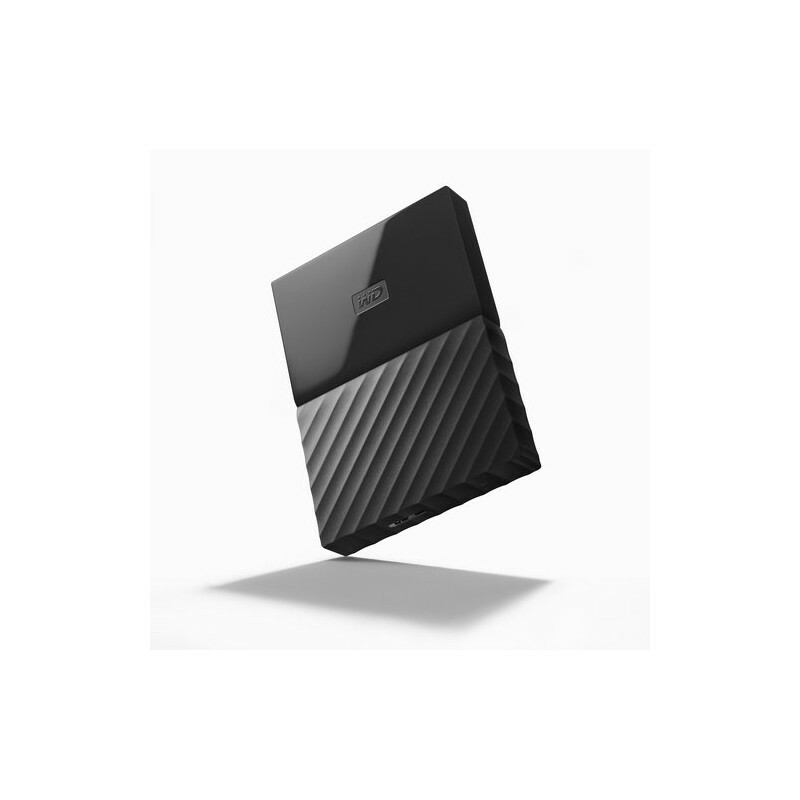 Simply select the time and frequency to make a backup of the important files of your system on the drive My Passport. Hardware encryption AES 256-bit built-in drive My Passport software WD Security utility helps you to keep your content private and secure. You can enable password protection and set your own custom password. In addition, the unit can display a message of "return if found" as a password prompt to help you find your way back if you ever left behind accidentally. 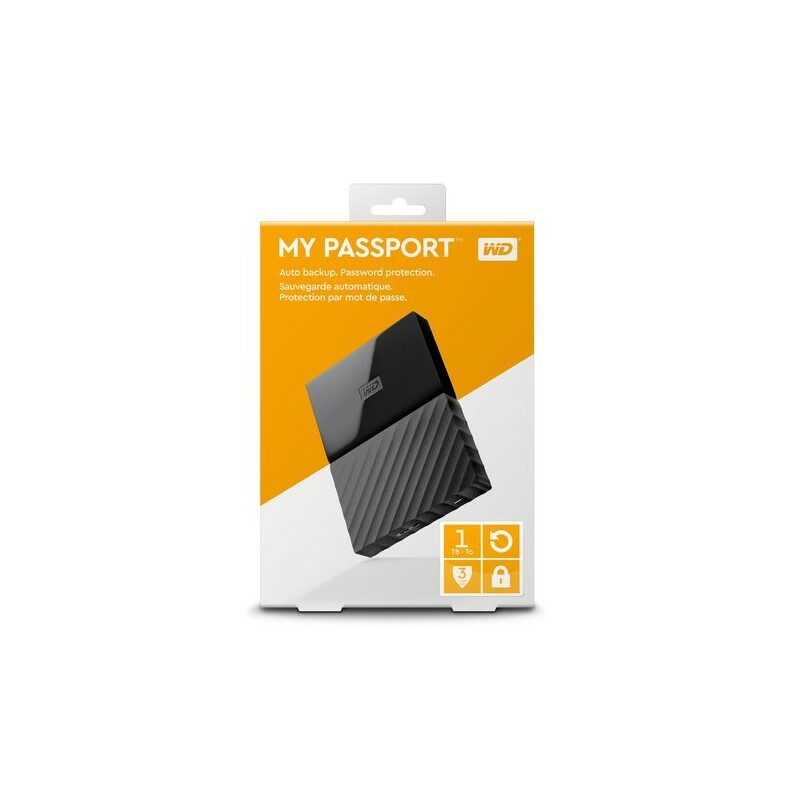 The portable storage My Passport is ready to use immediately so you can begin to transfer files, save your memories and make backup copies of critical data immediately. Comes with the software WD Backup, WD Security and WD Drive Utilities to help you protect your data. Device type: hard disk Drive. Connector USB: Micro-USB B, USB Version: 3.0 (3.1 Gen 1). Operating system supported Windows: Windows 10 Education,Windows 10 Education x64,Windows 10 Enterprise Windows 10 Enterprise.... Security algorithms supported: 256-bit AES. Take your data with you using the design portable, Western Digital My Passport 1000GB Portable External HDD. 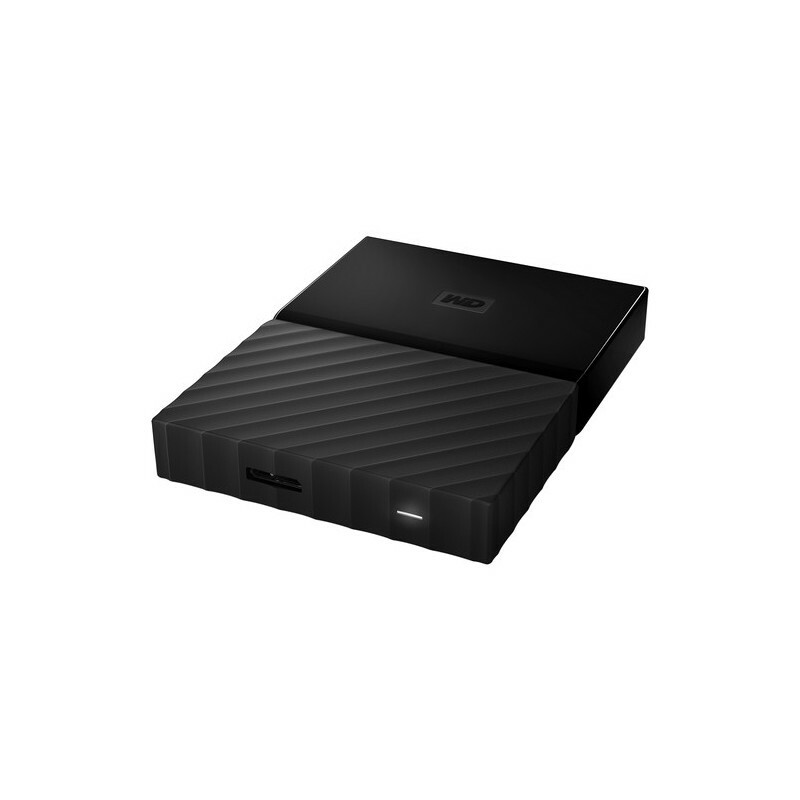 This HDD slim offers password protection to a higher level of security. It uses a USB 3.0 interface, and has transfer rates up to 5 GBps. This device is fast and offers backup options-automatic, so you never have to worry about the security of your files. With a capacity of 1,000 GB, allows you to bring your movies, music and favorite files wherever you go. 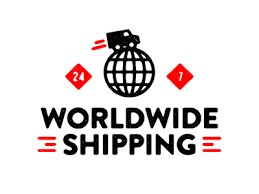 Size of hard disk: 2.5"
This is the external hard drive 1tb cheap that you were looking for: Technical characteristics Platform PC Form Factor 2.5 "